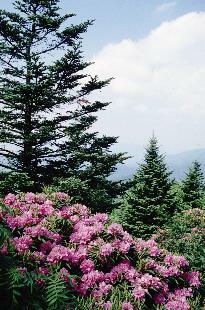 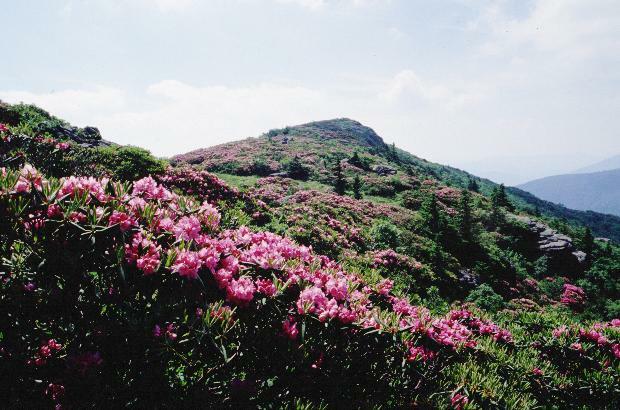 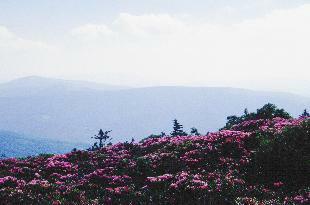 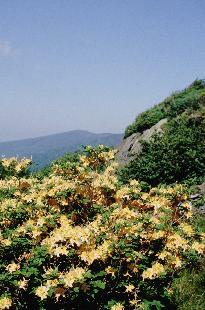 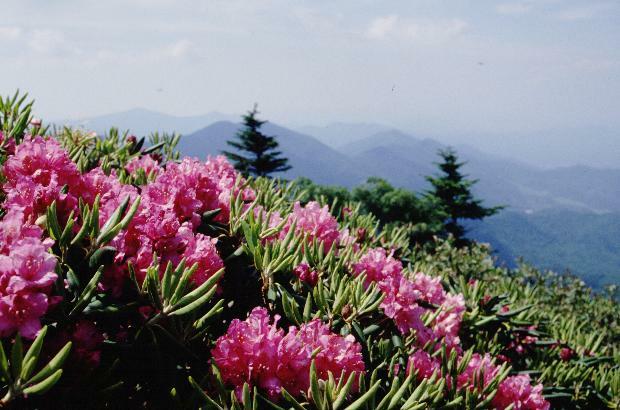 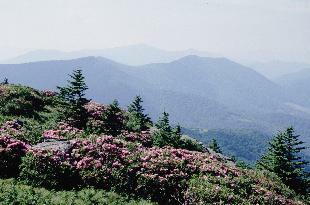 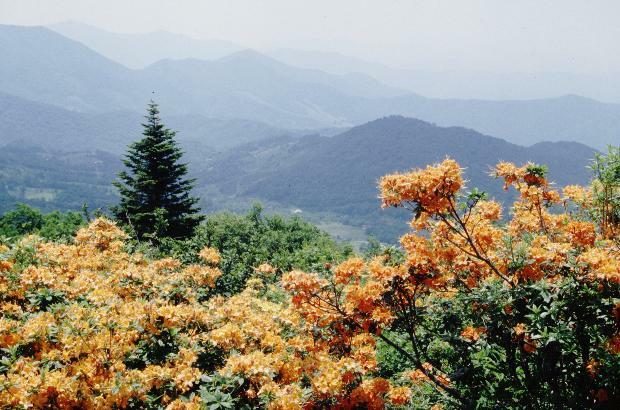 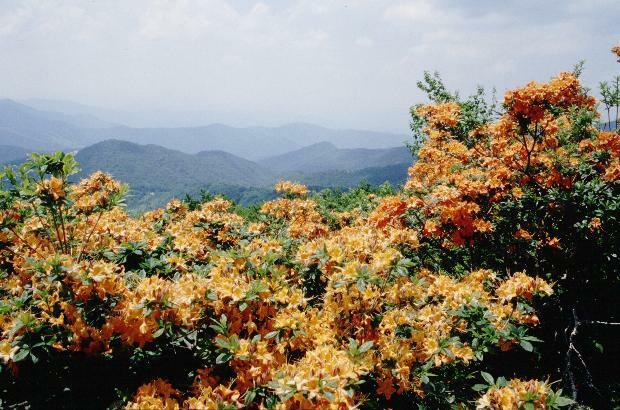 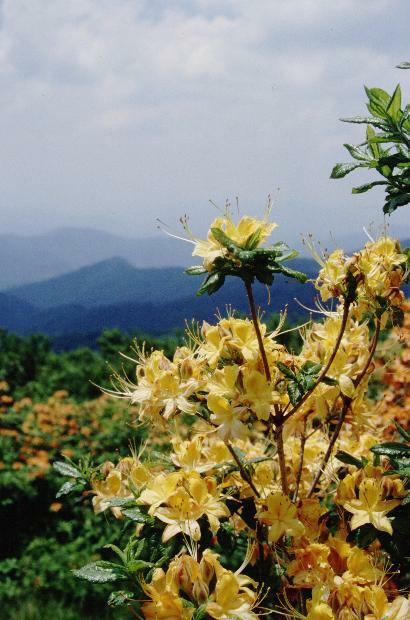 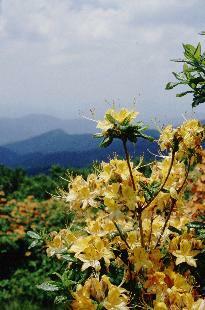 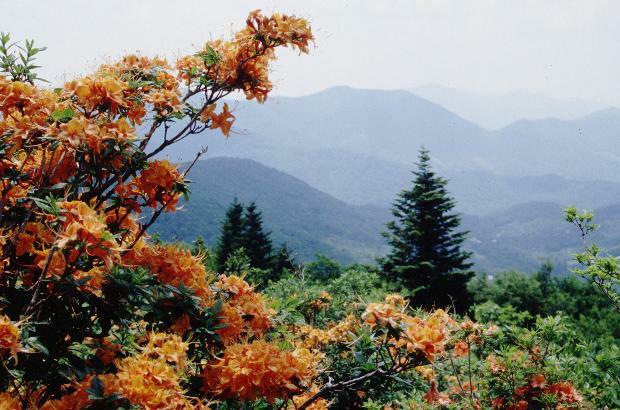 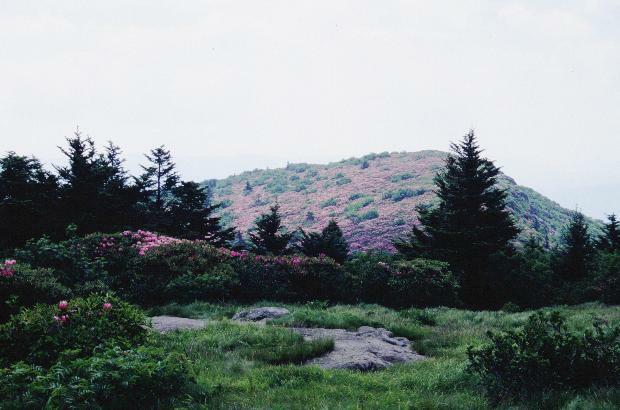 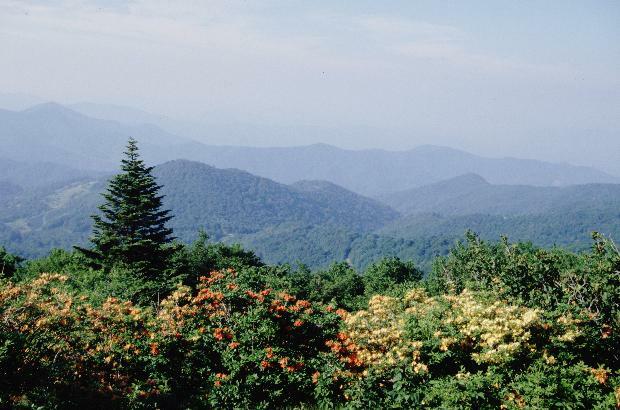 After many years of missing the bloom at Roan Highlands, I finally saw the mountaintop in full bloom on June 26, 2001. 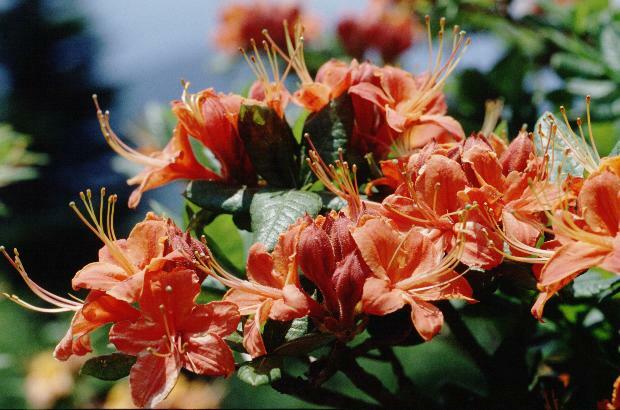 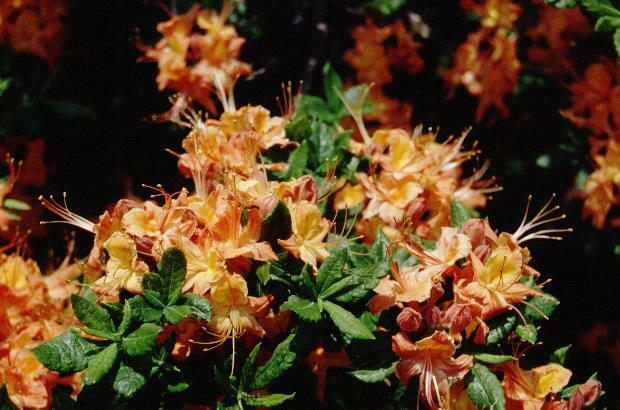 These are just a few images I took of the purple Catawba Rhododendrons (R. catawbiense) and the beautiful yellow and orange Flame Azaleas (R. calendulaceum) that day. I parked my car at Carvers Gap expecting to take a short hike for about an hour, but stayed out there for six hours instead, hiking past Engine Gap and Jane Bald all the way to Grassy Ridge. The weather was beautiful, the flowers were in peak condition, and the views were magnificent. It was perfection. Grassy Ridge Point, Elevation 6180 ft.